We are a not-for-profit, community managed Long Day Care Centre, operating for over thirty years. 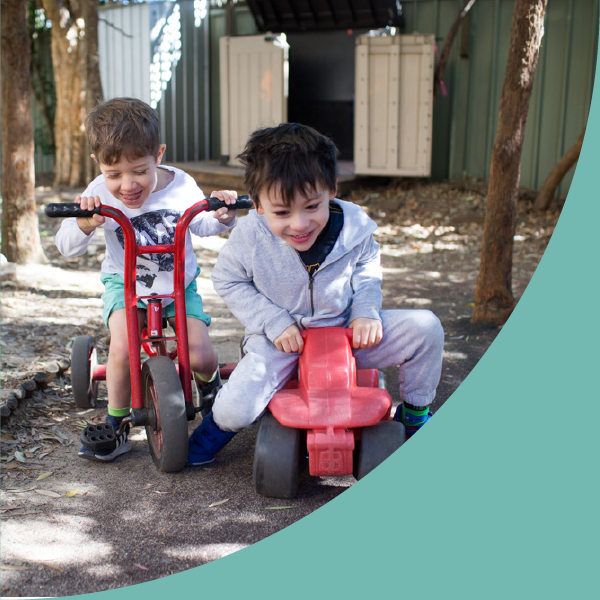 Located in the Inner West of Sydney, we are committed to providing high quality Early Childhood education and care. Our centre is centrally located on Missenden Road, Camperdown, with easy access to public transport and ample spaces for drop off/pick up by car. We are proud of our beautiful outdoor space with an abundance of trees and natural light. To apply for a place, check out our Waiting List. Our educational program has a strong emphasis on play-based learning and is guided by the Early Years Learning Framework for Australia. Take a deeper look by reading Our Philosophy. We believe that children’s learning is built on a solid foundation of strong relationships. Our educators are committed to forming meaningful connections with every child and their family.